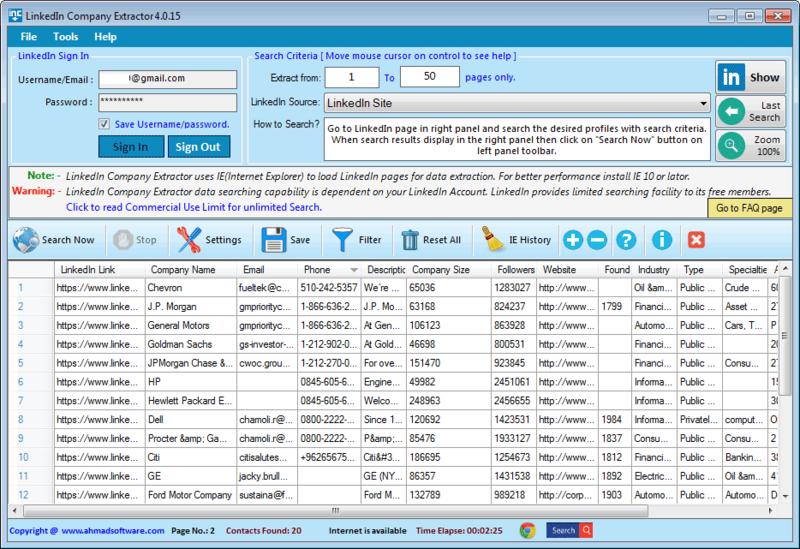 LinkedIn Company Extractor is a desktop application which allows you to extract endless number of companies' data from LinkedIn at an exceptionally fast rate. It automatically extracts LinkedIn profile link, Business Name, Company Size, Followers, Website, Year founded, Industry, company type, Specialties, Address, postcode, and Country name etc. You can export your data in .xlsx, .csv,(opens in excel) .txt files.